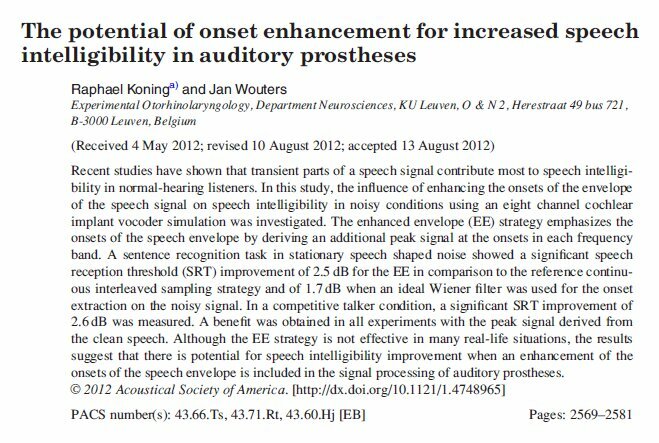 Speech enhancement algorithms were developed that try to process the signal in a way to improve speech intelligibility. We developed a new algorithm called enhanced envelope (EE) strategy that emphasizes the onsets of the speech envelope in adverse listening conditions. 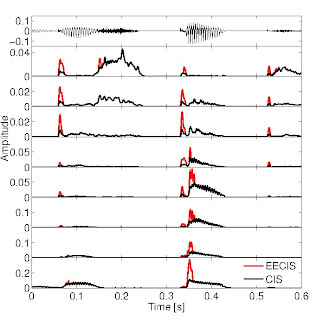 Onsets are just the first milliseconds of a speech signal after a period of silence. Therefore, we try to improve the access to the sentence structure. You can compare it with a study done in Cambridge which showed that it deosn't mttaer in waht oredr the ltteers in a wrod are, the olny iprmoatnt tihng is taht the frist and lsat ltteers be at the rghit pclae. 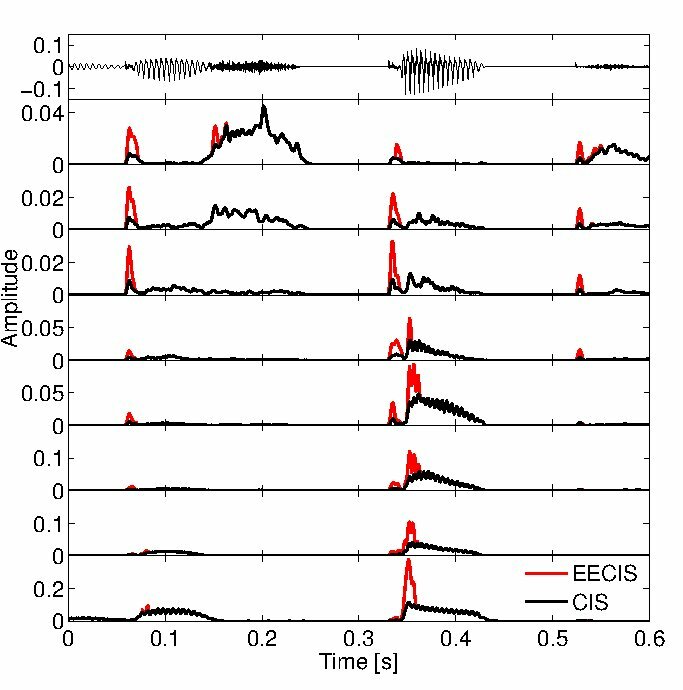 In tests with CI simulations that are used for normal-hearing listeners to mimic the sound perception of a cochlear users, we showed that an improvement with the new EE strategy was obtained in a stationary noise and when two speakers are talking at the same time. For more information, please refer to our paper. Koning, R., & Wouters, J, (2012). 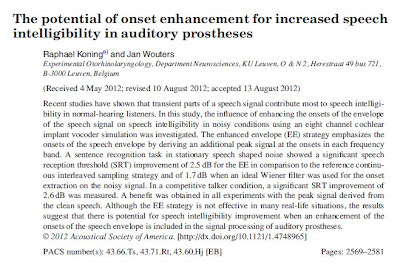 The potential of onset enhancement for increased speech intelligibility in auditory prostheses. J Acoust Soc Am, 132(4), 2569-2581.